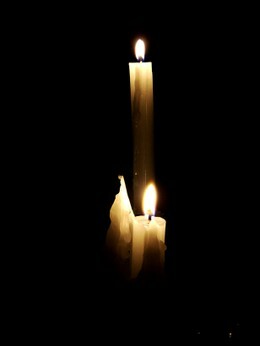 I once read somewhere that it only takes the light of a single candle to banish the darkness. For what ever reason you light candles this winter and holiday season, may the light of a million candles fill your heart and bless you with the light and warmth of hope, joy, and love. Browsing the magazine section at the local Barnes & Noble recently, the magazine Psychology Today caught my eye. Hmmm Might be a few articles in it that will help me discover ways to add depth to characters or make their growth more believable. So I bought it, along with my other favorite research magazines Cosmo and Glamour *g* and took them home to read at my leisure. There are several interesting articles in it, Reinvent Yourself: You Can Change Your Personality, Get Over It: How to Let Go of a Grudge, and The Caveman Diet And Other Natural Cures. However what caught my eye was a very short article called Muse Clues. It was about the findings to a recent Arizona State University study on what inspired people to be creative. Was it money? No. Higher status? No. Fame? No. It seems that throughout history all species become more creative when trying to attract a Mate. And Humans are no different. Men all became more creative when faced with obtaining a hot date. Why else do you think the early civilizations all had their muses as beautiful women? And what about women? Well they too became more creative when a mate was the inspiration. But not the hot date. Women became more creative when the prize would be a man suitable for a long-term relationship. Someone that would invest in raising a family, being a partner in life. It also turned out that the prospect need not be the goal. Just the thought of the ideal hot date or long term relationship inspired the creativity in the perspective sexes. So wouldn’t it seem Romance with Happily-ever-afters would be more inspirational to women, where they can read about the pursuit and achievement of a long term relationship. Yes? In the very least, its nice for those of us in the business of writing Romance to know that relationships and the pursuit of them continue to be what inspires both writers and readers alike. Yes, the graph moved! The last update on this work in progress had us at 12.6%. Matteo and Frankie begrudgingly took a back seat to the completion of Heart on His Sleeve. But we are back hard at work on it again. I must confess Matteo had to be coaxed to share more of his story. At first he was angry by all the disruptions that kept him from seeing his lust fulfilled. Right about now, he is trying to convince himself he is thankful for them. But he knows one smile flashed at him from her decadent mouth will have his blood heating from more than annoyance again. Dios, help him, he is becoming as crazy as she is.